Ökovänlig, meaning “environmentally friendly”, is elegantly presented with a plywood frame. The two plywood panels made of PEFC certified wood harvested in Germany, along with all other specially designed aluminum parts for the frame, are to be assembled by the buyers themselves into the finished bike. The easy-to-remove lithium battery is integrated into the plywood sandwich construction. The bike complies with EN and ISO standards. 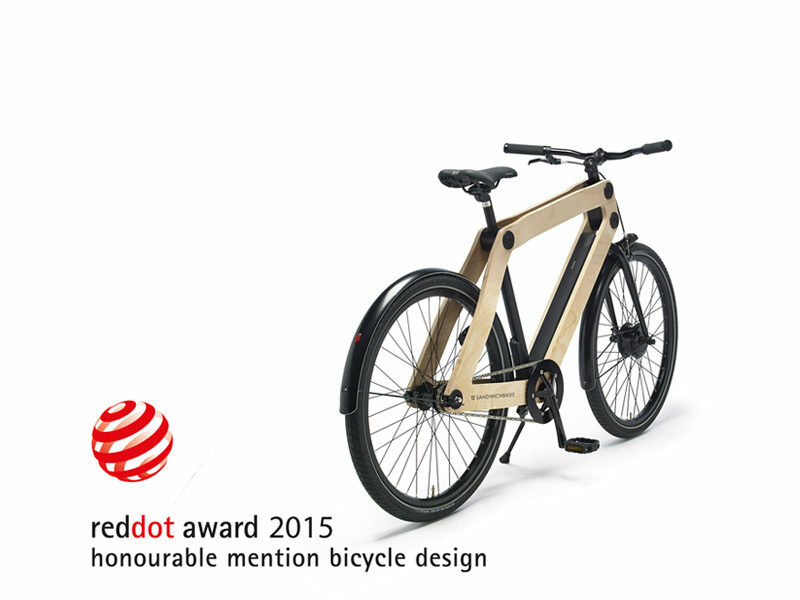 This electric bike is the realisation of a sustainable approach and attracts attention with its innovative plywood frame design.